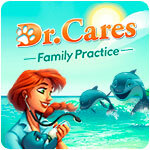 Dr. Cares - Family Practice Game - Download and Play Free Version! 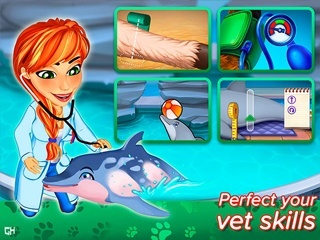 This time, there's more than just puppies and kitties that need your help, as you turn your attention to ponies, and even dolphins, along with an assortment of wild animals around Snuggford. Amy and Jack are settling in to life in Snuggford, running the vet clinic together with the help of Lisa and Crystal. But all that gets turned on its head when Alice, Amy's estranged mother, suddenly re-enters Amy's life! How this story ends is entirely up to you. 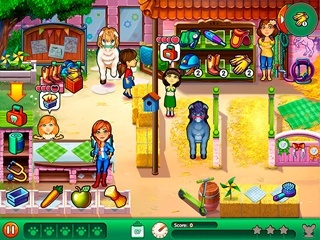 In this story game, not only do you get to heal animals, but YOU make the choices and determine what happens! There are many decisions to be made, and each one will have an impact on the story and how it ends. As the saying goes, you can choose your friends, but you can't choose your family. Dr. Cares - Family Practice is all about families. Everyone seems to be having family issues - and only you can guide them through all the problems. Amy hasn't seen her mother in years. When Alice suddenly turns up, Amy is suspicious. However, Alice has an offer Amy can't refuse... a rare species of dolphin has been caught, and she's pregnant. Alice claims she needs Amy's help. Has Alice changed, as she says she has? Can Amy put aside her negative feelings about her mother long enough to help with the birth? Lisa was raised in an orphanage after her mom gave her up as a baby. While working with Amy to save an injured pony, Lisa has a chance to find out who her mother is - will she take it? Jack is acting very strange. Will he share his secret with Amy? You get to decide! Do you want the story to end differently? Play again and make new choices!